Common moorhens are widely distributed. In the United States, they are found year-round in California, Arizona, New Mexico and the Atlantic and Gulf coast states. They migrate and breed in the eastern half of the United States during the summer. They are also found throughout Mexico and Central America. 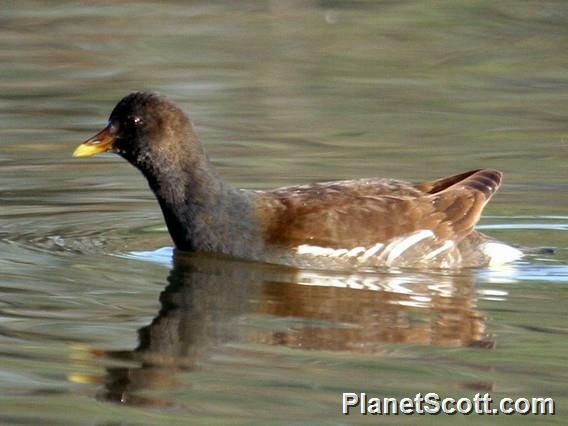 The Common Moorhen is also found in South America, its range cutting through the middle of the continent from Brazil to Argentina and Peru. This species is also found year-round throughout Europe except Northern Scandinavia. From Europe it is migratory into Russia during the summer months. It is found also in India and the southern half of Asia south to the Philippine Islands. In Africa this species is only found in the area of South Africa, Madagascar, a large section of the Congo and Algeria.